Are You Looking For A Reliable Cheap Pushchair? Give Baby's Mart A Call On 0117 904 1144. 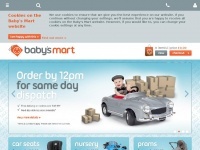 Babys-Mart, www.babys-mart.co.uk is specified as the websites creator. 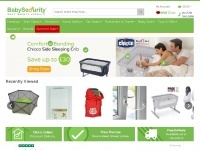 5. prams & tra­vel systems /prams_pushchairs_and_acces­so­ries/prams_and_travel_system..
8. 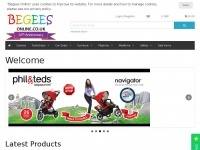 3 wheel pushchairs /prams_pushchairs_and_acces­so­ries/pushchairs_and_bug­gies/..
Baby-barn.co.uk - Dis­count Baby Equip­ment On­li­ne - Baby Nur­sery ..
Begeesonline.co.uk - Wel­co­me - Be­gees Baby Goods - Pushchairs Prams Cots ..
Babysecurity.co.uk - BabySecu­rity UK Baby Safety and Fee­ding Pro­ducts ..
Babyprams.co.uk - Baby Prams | Pushchairs, Tra­vel Systems, Bug­gies & ..